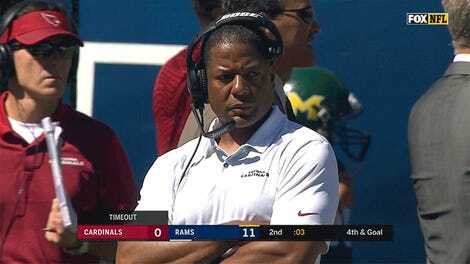 Steve Wilks’s short, uneventful tenure with the Arizona Cardinals will come to a close at the end of this season, according to a report from ESPN’s Adam Schefter. 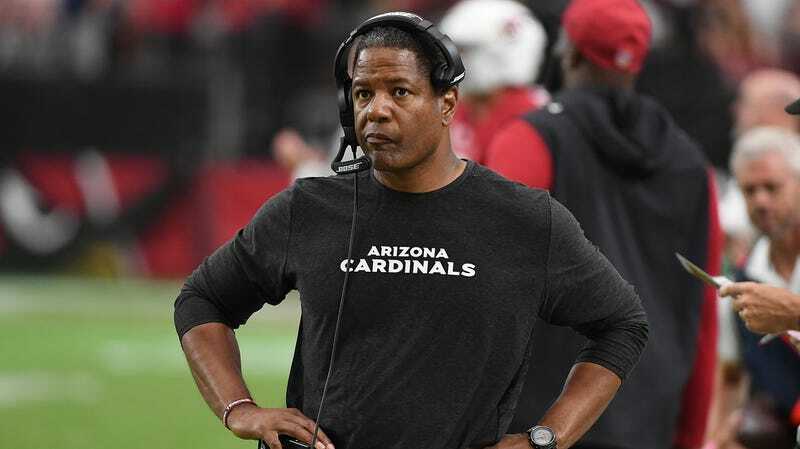 The Cardinals hired Wilks as the team’s head coach back in January following his stint as the Carolina Panthers’ defensive coordinator last season. Some believed that Wilks’ hire would lead to improvement on the defensive front, particularly for All-Pro cornerback Patrick Peterson. That expectation hasn’t exactly been fulfilled. Football Outsiders has the Cardinals as the 15th best defense in the league (11th rush, 24th pass). Even worse, however, has been the team’s offensive production—which led to offensive coordinator Mike McCoy’s firing after a 1-6 start. As of Week 15, the Cardinals had the worst offense in the league in terms of yards and points per game. They struggled mightily to get David Johnson going, and Josh Rosen hasn’t exactly had an immediate impact. Given the swiftness of Wilks’s imminent firing, the organizational priority this offseason seems like it will be finding the right coach to get Rosen to deliver on his potential. The report also makes sure to note that Wilks’s departure will signal a change in the diversity of head coaches in the NFL. Wilks’ departure would mark another firing for a minority head coach, further highlighting a growing issue for the league. With Wilks, Denver’s Vance Joseph and the Jets’ Todd Bowles all likely to be let go after this season, according to sources, and with Cleveland already firing Jackson, it will leave Pittsburgh’s Mike Tomlin, the Chargers’ Anthony Lynn, Cincinnati’s Marvin Lewis and the Panthers’ Ron Rivera as the league’s only minority head coaches. Tomlin, Lynn and Lewis would be left as the league’s only African-American head coaches at a time when the league has stepped up its Rooney Rule qualifications and tried to advance the hiring of minorities. Wilks showed his defensive prowess during his tenure in Carolina, so he shouldn’t have a problem finding another job, just maybe not as a lead man.